Poetry. Latinx Studies. Illustrations by Nereida Garc a Ferraz. 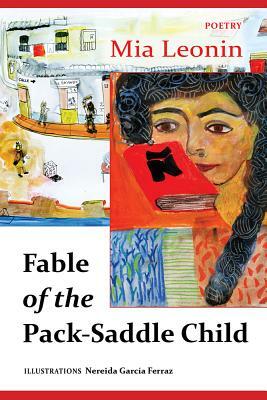 FABLE OF THE PACK-SADDLE CHILD is an illustrated book-length poem for adult readers steeped in the world of Micaela, a ten-year old, who lives in an unnamed, Spanish-speaking city by the sea. Seeking emotional refuge after a traumatic assault, Micaela withdraws from the world of adults, almost losing her burgeoning sense of self. But she becomes enchanted by language, beginning with the tilde that sits atop the Spanish letter , and her new love of the written word helps her find redemption in surprising places.